This opportunity will allow for the general public to directly interact with the process, and expand the dialog of contemporary handmade art production and its effects on the environments, its audience and producers. This studio space will be transformed to aid in the progress, development and added research into the handmade print procedure. The artists and authors will commit in the development towards a body of work that is necessary to continue and aid in the exposure of the awareness of the benefits of working in harmony with nature. The goal for the duration of the pop up darkroom is to complete a portfolio of prints and an educational fine art book to aid all artists of various ages and health to ensure their capability of creating traditional darkroom prints without compromising the quality of work, personal health or the environment. 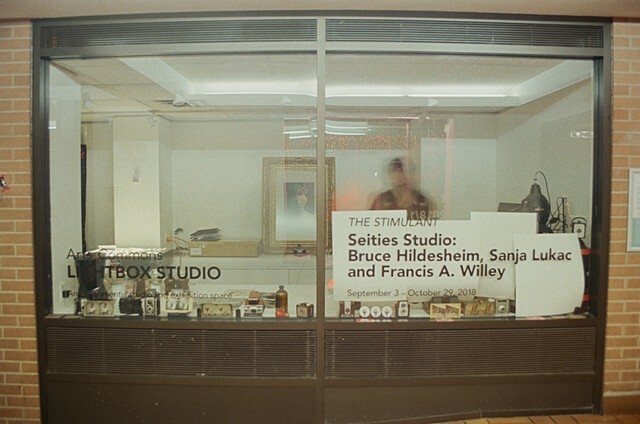 THESTIMULANT is a pop up darkroom, workshop + exhibition space featuring Bruce Hildesheim, Sanja Lukac and Francis A. Willey the authors and artists of The Verdant Luminul (VL) Environmental Process. The Stimulant is an environmental developer + printing solution for refined B+W film photography. Catalyzed to lessen the impact that traditional chemical processes have on the earth. An educational fine art book will be developed to aid all artists of various ages + health to ensure their capability of creating traditional darkroom prints without compromising the quality of work, personal health or the environment.